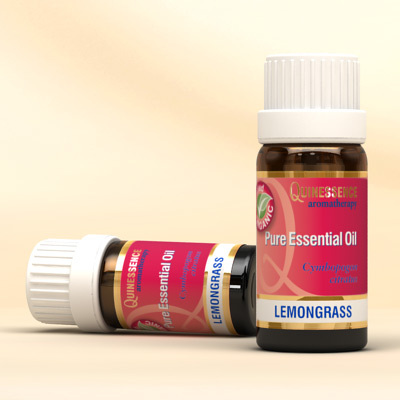 The energising and toning action associated with Organic Lemongrass Essential Oil makes this an ideal oil for use before or after sports, training or exercise. Athletes often use lemongrass in pre-sports massage blends to enhance performance and help alleviate the aches and pains sometimes caused by over-training. It works equally well if you need to soothe and revitalize aching muscles and joints after a really strenuous day working in the garden or doing manual labour. Organic Lemongrass Essential Oil strengthens connective tissue, tones the skin, normalises overactive sebaceous glands and reduces open pores making it perfect for balancing oily skin. Its antiseptic, antiviral and antifungal properties make it an essential part of your ‘first-aid’ collection as well as for helping clear spots and acne prone skin. It can be used effectively as an air-freshener in a vaporiser or as a natural deodorant, and is a highly effective insect repellent.